I really look forward to the National Book Award nominations. I think its the bit of suspense – the short list is announced in October and then the winners for each category given in November. Maybe in another life (next year?) I will be able to READ all of the nominees in that short period of time and then be extra-prepared for the exciting announcement. Anyway, I have read zip, zero, ZILCH of these books. 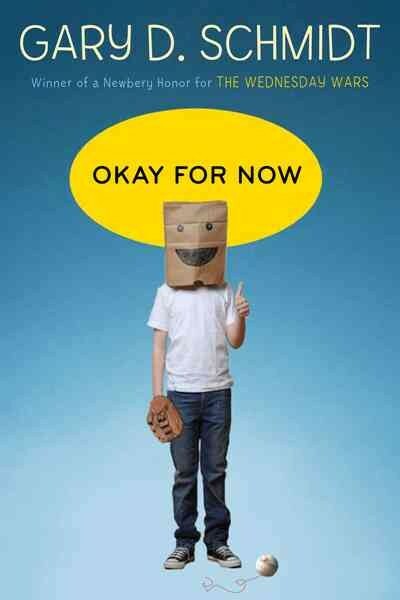 I have heard only good things about Gary D. Schmidt’s Okay for Now… but I also heard only good things about The Wednesday Wars and I was like “eh,” so maybe he’s just not my style. 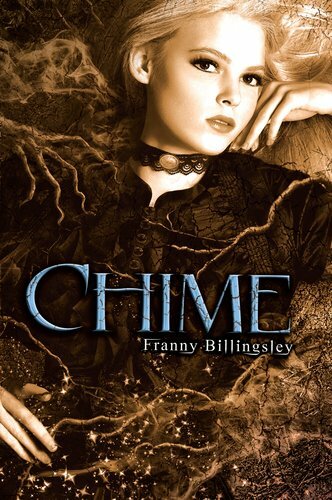 I have heard ALL about Chime – great review after great review – and I heard Franny Billingsley speak briefly as she accepted her Boston Globe-Horn Book Honor a few weeks ago, and I have a copy sitting on my bookshelf. But have I read it yet? No. 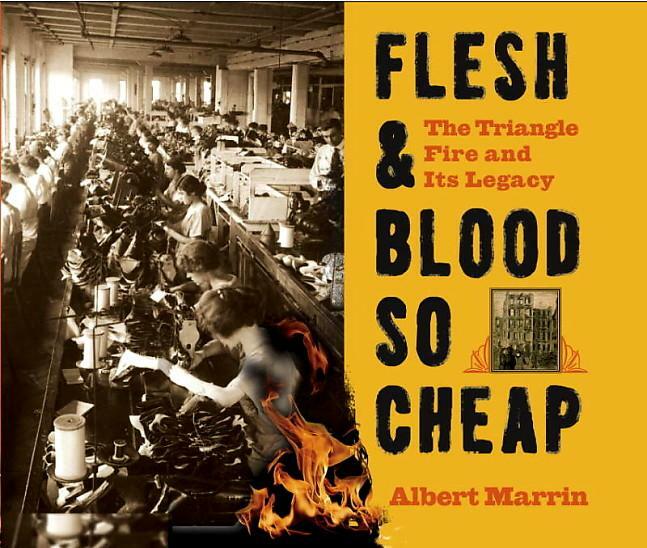 Flesh & Blood So Cheap by Albert Marrin looks exactly like a book I would love to read – historical with big, shiny photos: like one of my favorite authors, Elizabeth Partridge and all her lovely books. Plus, after considering Phillip Hoose’s work at length, I get a little excited to see juvenile nonfiction back up to bat for the NBA. 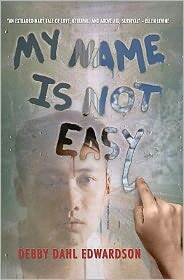 I have heard nothing about My Name is Not Easy by Debby Dahl Edwardson or Inside Out & Back Again by Thanhha Lai, but they both seem to be about leaving home and being a cultural outsider. 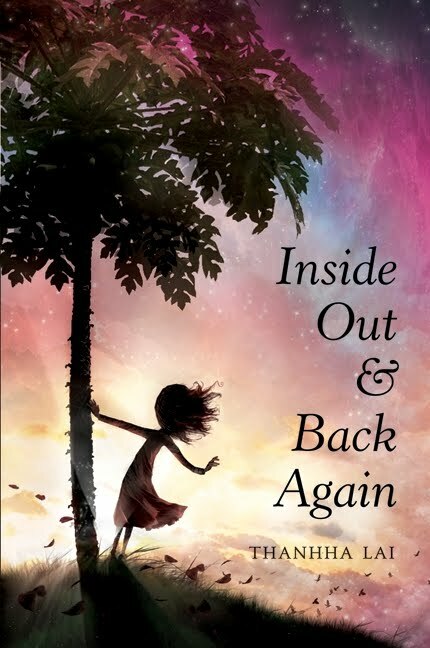 and Inside Out & Back Again? What a cover. 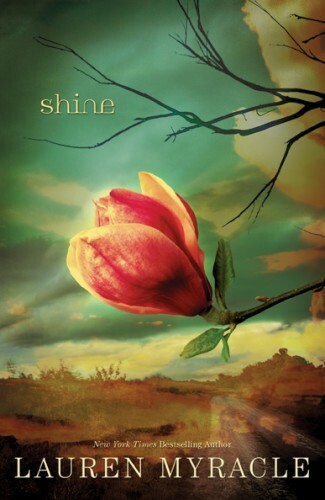 And SPEAKING of what-a-cover… Shine. I’m sure most of you have heard about the nonsense regarding this title. In case you haven’t, Libba Bray puts it… um… quite frankly/awesomely here. For those of you who are not link-clickers or who want to avoid profanity, what happened is this: there was a miscommunication between the NBA judges and everyone else – the everyone else heard “Shine” when the judges said “Chime.” But somehow, this mistake didn’t get caught until AFTER the official announcements, and then a bunch of craziness happened and no, Shine is NOT on the official nominees list. But I decided to keep it in this post because A) What the heck, National Book Award? Your PR folks are obviously sub-par and B) When the nominees were announced, this was the book I was most happy to see and most excited to read. So, there it is!